One of the secret, silent, and least talked about killers of a sound approach to actor marketing is bad image selection. I can’t tell you how often I speak with actors before a headshot session, flesh out and write down their goals, and consult on wardrobe to sell those goals, only to get the post-shoot retouch order and see a whole lot of none of those goals showcased in their selections. Your photographer can take the best, most targeted shots in the world but it’s all for nothing if you don’t choose them! Why does this happen? It’s simple: Unlike brands who have creative directors to aid in image selection, actors are often their own creative director. While a brand’s creative director makes decisions on something not attached to her identity, an actor is faced with images of himself, meaning his psychology is able to negatively influence his choices. 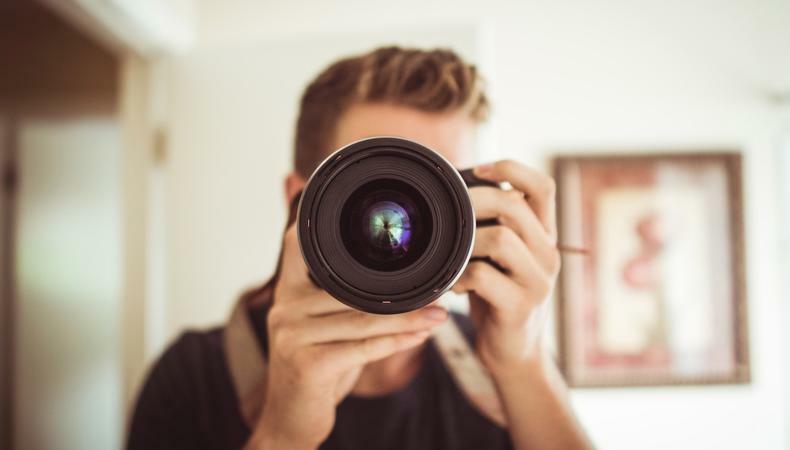 Luckily, there are steps you can take to make sure your shots are chosen wisely. The following is a list of tactics that will have you selecting images like a creative director. Remind yourself to be detached. Before you sit down to review your shots, take a deep breath. For the next hour, you’re not looking at shots of yourself: you’re looking at shots of someone targeting X, Y, and/or Z. Write down your goals and sub-goals. Have the list in front of you while you’re reviewing the shots. For example, if you’re targeting girl-next-door in a given look, write that down, but also write down which versions of that girl-next-door you need. This way, if you’re right for comedic, love interest, and commercial girl-next-door, you can make sure to have a separate headshot for each breakdown. Choose based on expression, essence, message, and posture alone. That flyaway hair can be cleaned later but your expression in the shot is fixed. The background may be more to your liking in one shot rather than another but if your essence is lackluster, the background won’t get you called in. More importantly, the detachment mentioned above has to come into play. In an ideal image selection session, you’re ignoring that bump on your nose that only you notice or your baby hairs or that pesky eyebrow or slightly smaller left eye. Instead, you’re focused on the energy, authenticity, and message jumping off the screen. In other words, don’t look at your shots, feel them. Be thorough, one sub-look at a time. Don’t spread your forces thin. As you scroll through your shots, focus on one sub-look at a time and forget the rest. If you’re looking for a comedic essence, that’s all you’re looking for at this time. All those sultry theatrical shots you have will get their turn later but for now, they can be ignored. Avoid hesitant and insincere expressions. This is a big one. It’s a branch of feeling your shots rather than looking at them. Summed up, there are genuine smiles and hesitant ones. Even if you feel your eyes need to be more open than when you fully smile, there is an honest feeling behind the right, more subdued smile. If you were uneasy for a microsecond while the shot was taken, your eyes may be visible, but so is your discomfort. Whether the viewer consciously realizes it or not, that discomfort affects their perception of your viability. Equally as important is what I call the “try-hard” expression. If you’re right for villain roles, your true essence will hint at it tactfully—there’s no need to choose the shot that oversells the message. Casting directors are people, after all, and people don’t enjoy the stereotypical used-car salesmen. Hand cropping is your friend. Most people don’t know this, but where your eye is in the frame can make the image more or less dynamic. Therefore, a crop can make you appear more or less dynamic. To avoid missing the gold, close one eye, turn your hand into an L and explore different crops! When looking through your shots in order, you’ll see a handful in one posture before moving on to the next. Because our minds get comfortable, the image immediately after a series of shots in one posture jars us. For some people, the sudden shift wakes them from a lull and they perceive their jolt as a sign that the image is exciting. Mark that image—it may truly be exciting—but it may also just be the image selection Doppler effect. Revisit it later out of its original order and compare it to others more objectively. Consider not choosing your final images yourself. Some people can detach. Others cannot. If this detachment doesn’t come easy, just make general selections and allow your peers, mentors, and/or reps to do the rest. I can’t stress this enough. Choose shots that convey what you have to offer, what you do better than others. It doesn’t serve you to pick a shot that depicts you the way you want to be seen. It only serves you to pick a shot that promises what your audition will deliver. It’s not about your headshots opening every door but about them opening the right ones. Best known for his new-age, uncompromising approach to actor headshots and cinematic portraiture, photographer Nogen Beck is pushing the envelope and empowering actors to achieve more potent marketing materials. Beck is also the author of "The Science of Headshots", a book that illuminates previously hidden tactics that actors and photographers can leverage to deliberately propel the actor's career upwards.